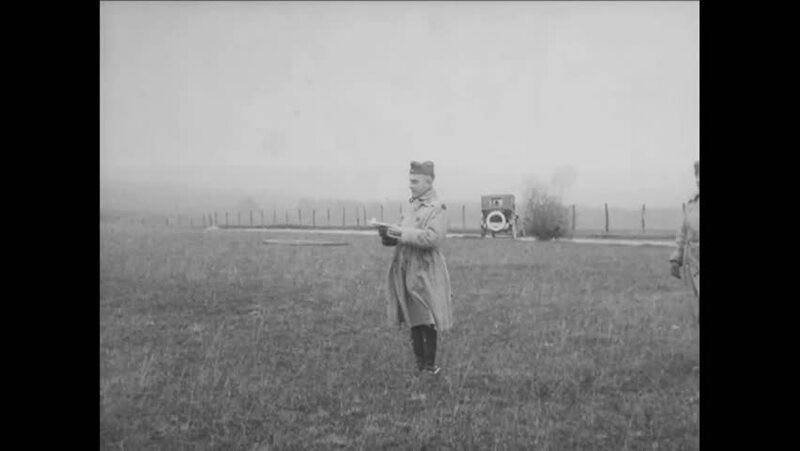 CIRCA 1919 - General Durfee decorates soldiers with the Croix de Guerre. 4k00:141920s: Man stands on bridge over river. Man and girl stand next to older man. Man takes off man's hat, picks up and sets down girl. People next to car. Road over river. hd00:25Europe 1940s: man uses crane to move tank in dockyard. Planes in sky. Animated map of Britain. Bomb drops from enemy plane. Bombs fall on aircraft hangers. Planes in field. 4k00:221920s: Man walks onto road. Man stands next to highway sign, poses behind sign. People walk across city street. Cars drive through intersection. Tall building. hd00:47CIRCA 1940s - Allied troops are defeated, battling with tanks and warplanes, in Tunisia, during World War II, in 1942.
hd00:18AFRICA: 1930s: Explorers by river. Men ride elephants across river. hd00:19UNITED STATES 1940s: Man and boy walk on coastline, pick up piece of wood / Man and boy inspect piece of wood, walk toward camera.